In November 1963 President John F. Kennedy was assassinated in Dallas, Texas. His death remains a defining moment for millions of people but few understand the unstoppable forces that were building in the city long before this dramatic event played out before the world. 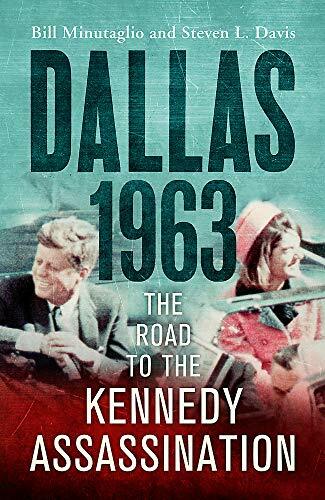 Dallas 1963 is a riveting account of the convergence of a group of unyielding and highly focused protagonists in a city sometimes seemingly filled with hate for JFK. Wicked stabs of fate and circumstance steered these fascinating characters together: the richest man in the world, a combative military general, a Mafia don, a strident Congressman, thundering preachers and even the elegant owner of one of America's most famous stores. This book expertly narrates how the spiralling events surrounding these characters on the ground in Dallas ultimately brewed a toxic environment before the President's assassination. Using a wealth of new information, as well as the first ever examination of key primary documents, Bill Minutaglio and Steven L. Davis, both experts in their field, provide a comprehensive and detailed portrait of the place, the time and the people of these extraordinary events in American history. They also provide cautionary and controversial lessons rendering this time increasingly relevant for the modern age.